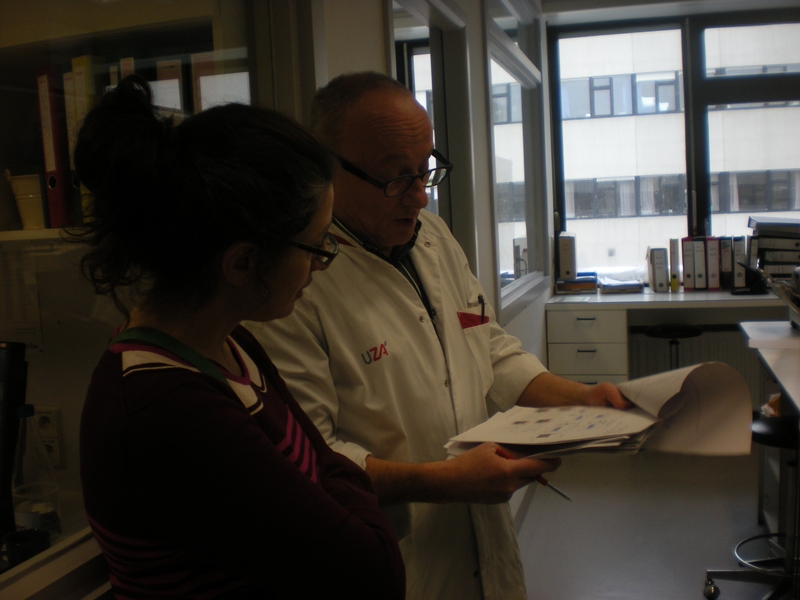 Alex and Ann visit haematology and cytogenetics labs at Antwerp University Hospital, to learn about diagnostic techniques such as microscopy, FLOW cytometry, FISH and karyotyping. Many thanks to Ronald Malfait, Helena Devos, Jan Wauters, Marie-Berthe Maes, Elvire Van Assche and others who were so generous with their time. This entry was posted in BloodLines and tagged bloodlines, bone marrow transplant, haematology, performance. Bookmark the permalink.